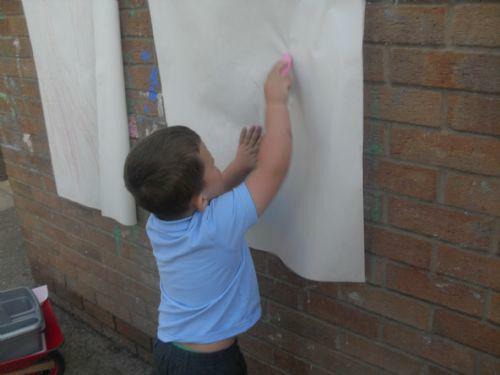 We learnt some new tricky words and worked with a partner to write them on the playground outside with chalks. 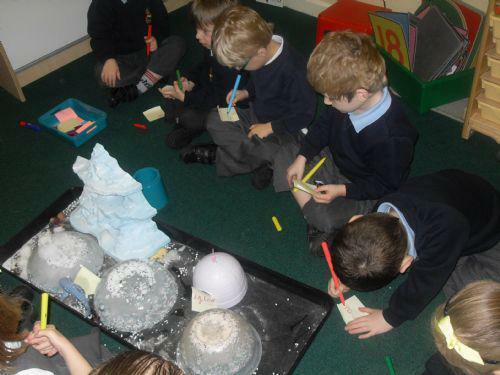 We used our phonics knowledge to label an Arctic scene. We label our models on the model display shelf. 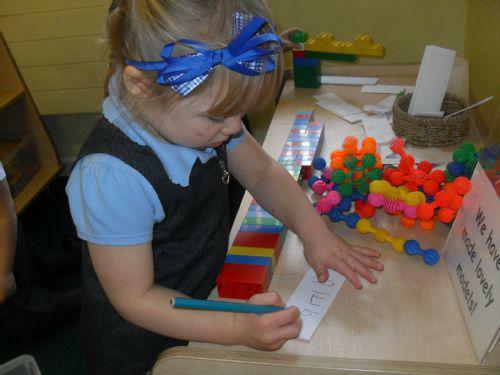 Mark- making in the Grocers shop. 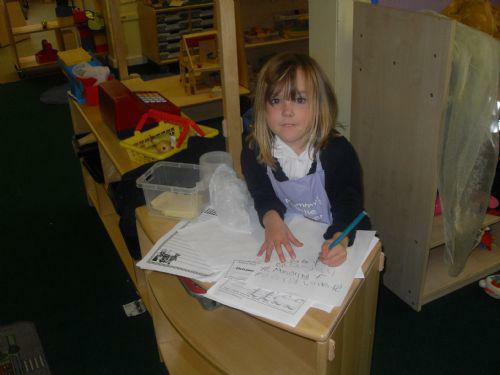 Making shopping lists for vegetables in the home corner following the Oliver's Vegetable's story. 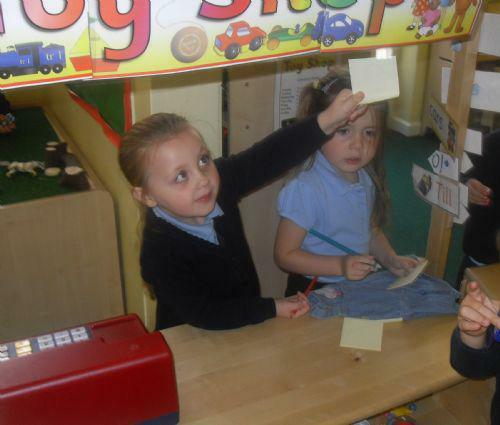 We turned the shop into a toy shop for babies and helped Mrs Fawcett write price labels.